A deep, transparent orange. 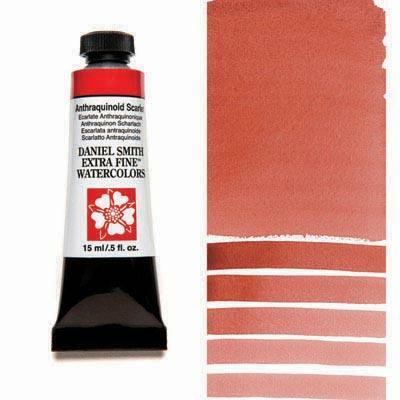 In a wash, it’s a light peach tint and transparent at full strength, it moves to a deep, red-orange lipstick color with all the pigment strength, DANIEL SMITH paints are famous for. It’s absolutely beautiful!